With the new year, my upcoming 30th birthday, and Whole30 challenge, I’ve been thinking a lot about goals and priorities lately. One of the things I’m trying to do better this year is balancing work and personal life. I got a little carried away last year, especially shooting blogger photography, and forgot to leave enough time for myself. Now that I’ve made my resolution not to take on so much work and be more intentional when choosing opportunities, what do I do with my extra time? One of my goals is to travel more. And if not more often, at least be sure to document it better through journaling and photography. Traveling has been an important part of my life for as long as I can remember. In fact, my life as I know it basically started with a plane ride. At the age of three months, on May 21, 1986, I flew from Incheon to Chicago O’Hare via Northwest Airlines to be with my “forever” family. I love watching the video of my arrival and seeing all of my family members gathered in the terminal. My mom often tells the story about how they couldn’t figure out why I was crying so much when they put a sweater on me, until they finally realized that I already had three layers of clothing underneath and was burning up! Standby travel often meant that our bags would arrive at the destination before us (or not at all), so my Dad got us in the habit of not checking baggage. With the new regulations about liquids, this is NOT an option for me anymore haha. But I still think of my dad’s warnings and always pack my carry-on luggage carefully in case I have to live out of it for a few days. With two upcoming trips planned for this year (One to Dubai with my family, and another to St. Lucia with my in-laws), I decided to splurge on a new overnight bag. 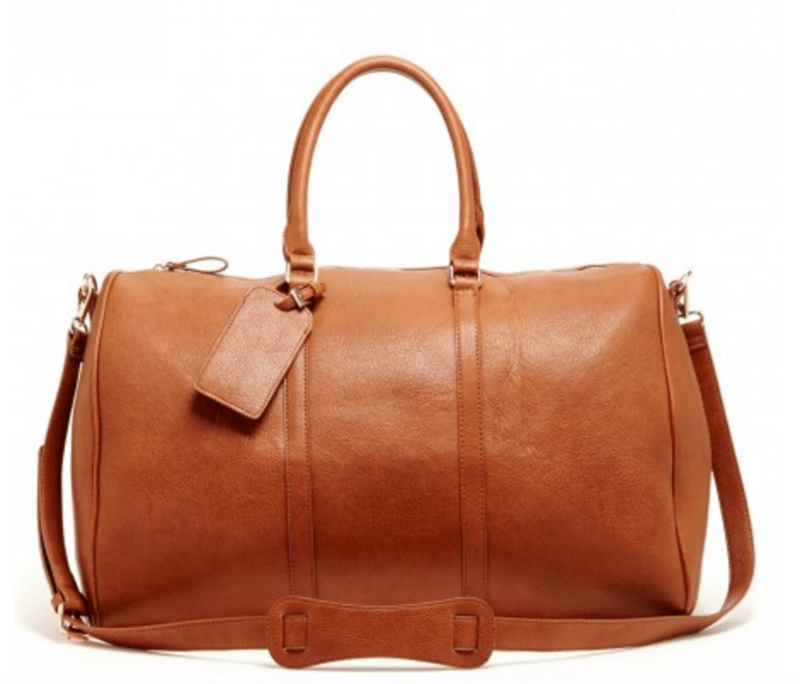 This gorgeous vegan leather Sole Society ‘Lacie’ Duffle Bag was everything that I wanted in a weekender. The neutral color will match any airplane outfit, it’s made out of animal-friendly PU material, and so roomy! It can easily fit my electronics, toiletries, a few outfits, and a pair of extra shoes. The smaller version ‘Cassidy‘ also comes in an array of colors. I cannot wait to use the bag on my next trip. Dubai isn’t until March, and I’ve got a serious case of wanderlust… may just have to plan a little road trip before then to test her out. What fun travel destinations are you visiting this year? Any packing tips to share? What a gorgeous bag, and what exciting trips you’re taking this year!!! I also like checking in a little early to people-watch. So interesting and so much fun, but I hate security check. Every single time I’ve flown when I was on a dependent/student visa, I was always marked for “random security search” which is so embarrassing 🙁 Can’t wait to see your traveling pics!! “Random” ugh. Yea, whenever I’m traveling with my family- I’m the only one who has ever been pulled aside for those searches.. coincidence lol. Stephanie, What a great post! I love the way you write. It feels like we are sitting down to have coffee together! 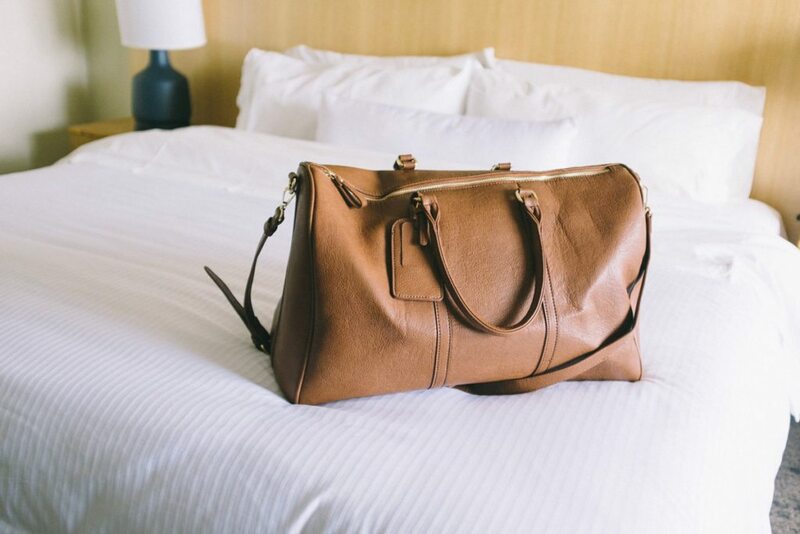 The bag is beautiful and your upcoming trips sound amazing. Prioritizing travel is so important and every time I do it, I am so glad. This year my husband and I are thinking about doing a cruise to Alaska on one of the fancy schmancy smaller ships. The Inside Passage is beautiful and so unique. Thanks again for sharing! Thanks so much, Suzy! An Alaskan cruise would be amazing! My in-laws went on a trip to Alaska last year (not a cruise) that I was unfortunately not able to go on– their pictures were breathtaking. I really didn’t appreciate all the travels my parents took us on growing up, but now that I’m an adult and having to plan trips myself– I realize what a blessing it is. The memories you make are priceless! Wonderful to see the video of your trip to your forever home. How special. You were a cutie potootie just like you are now. We went to Dubai about 3 years ago and it was fabulous. Maybe we can talk about it. Love to show you our Dubai Shutterfly book. 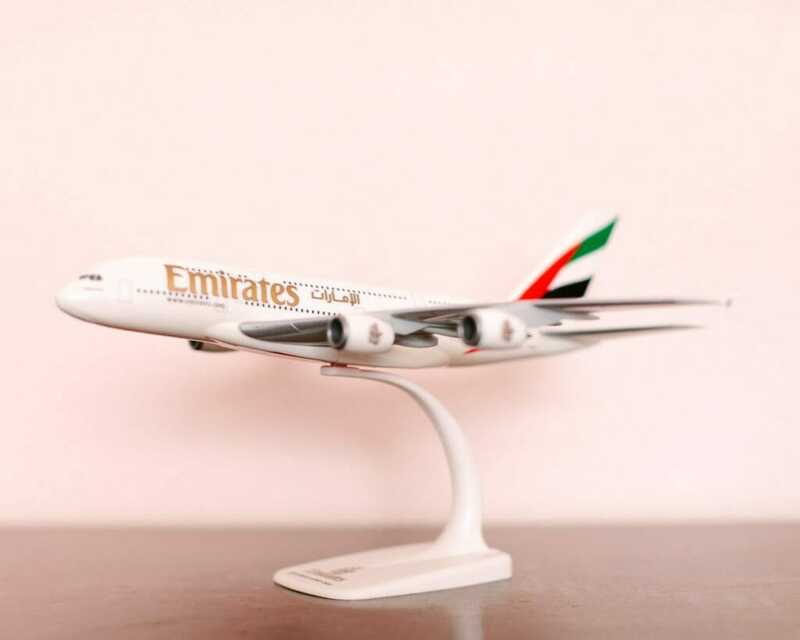 It is a long flight, but Emirates Airlines is great! We also flew Emirates to Italy last summer. Loved reading your post. Oh my gosh, Nan- I need to see your Dubai pictures and hear all about it!! I’m so glad to hear about your great Emirates experiences– my dad works for them 🙂 I’ll stop by the Vintage House soon so we can chat!! Loved this post! Taking time for yourself is so important, and no better way to do that than traveling! Love that bag! I definitely want to plan more trips, I have barely taken off since starting work (which was only a year an a half ago…but…). I got a Kate Spade weekender for Christmas and I can’t wait to use it! Dubai and St Lucia sound amazing, have fun! Thanks, Courtney! Just read on your blog that you booked a trip to New Orleans! Yay for an excuse to use your new Kate Spade! Heading to Tulum Mexico this weekend for a friend’s wedding. One of those last minute destination wedding types so it should be pretty interesting and fun. At least I’ll be by the water!! That will be such a gorgeous location for a wedding! Can’t wait to see pictures. And I’m sooo excited to be on the Airbus! !